First of all, thank you Chris Newsome for keeping us in the game. Kiefer was trying to involve his teammates early on but sometime in the second quarter he got his third foul and had to sit til halftime. Ateneo this time didn’t have a lethargic start and in fact led during the first half. There were instances of mental lapses from the team resulting in easy two points for UE. Charles Mammie had his usual power game. Lucky for us, Roi Sumang wasn’t playing that well or shall I say, didn’t have his usual game. Is Roi still injured? He however scored 5 quick points to bring down our lead to a measly 1 point in the fourth quarter with less than 3 minutes to go. With Mammie getting the rebounds and Roi being more assertive, I felt we were very vulnerable. Then just like in the NBA, the star player gets the ball and does what he does best with 8 seconds to go in the shot clock. With a one point lead, one would think that Kiefer would drive in or pull up for a shot or pass the ball at the last instance to an open teammate. Noooo….he takes a higher risk, high arching 3-pointer which hit nothing but net! 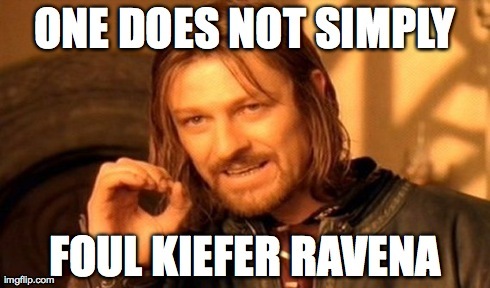 The Kiefer legend continues! The 4 point lead was too much for UE to overcome. Thank you Kiefer! Mabuhay ka! So we are now 1-1 in this 4-game schedule of death prepared by the UAAP. Though ADMU has the better win-loss record vis-a-vis NU, ADMU is considered the underdog, again due to the African imports of NU. NU is a tall athletic team but beatable. Kiefer will be inspired to play better this time and ADMU may just have it’s revenge. It’s Payback time! One Big Fight! Didn’t we just play UE’s less than two weeks ago? Them again? We all know UE is out for some payback. Expect Roi Sumang and Charles Mammie to lead their charge again. For Ateneo, it’s still the Kiefer Ravena show. I don’t believe UE has a player to stop Kiefer so Kiefer will have his numbers, but I don’t expect 38 points because he has to involve his teammates. Arvin Tolentino has to make his 3 point shots. This will force the African imports to play him outside and maybe open up the lanes for Kiefer and Chris Newsome. Two questions in my mind. Will Kiefer tire? Will Coach Bo control his minutes? Ateneo needs this win but UE needs this win more so expect UE to go all out from the get-go. Ateneo can’t afford another slow start and everyone in the team knows it. Ateneo must match the energy of UE. I’m sure the coaching staff has devised ways to counter Mammie and turn him into Pansit (corny ba?) 🙂 Expect another close game and like any Final Four atmosphere game, whichever team that makes it’s shots and keeps its composure will win the game. Breaks of the game is a given – officiating included. I know the UAAP is following a template depending on the standings of the first round which incidentally can be amended upon the whim of the UAAP Board. I just wanted to point out that ADMU will be undergoing a tough first four games in the second round. If FIBA had a Group of Death, ADMU has a Schedule of Death with DLSU, UE, NU and UST in that order. I would be content if ADMU gets a 2-2 record after these four games. How I wish we play UP or Adamson during this stretch. Well, I guess this is the price to pay for winning the first round. The bullseye is at our backs and we have to prove our worth. Good game, DLSU. You deserve this one. 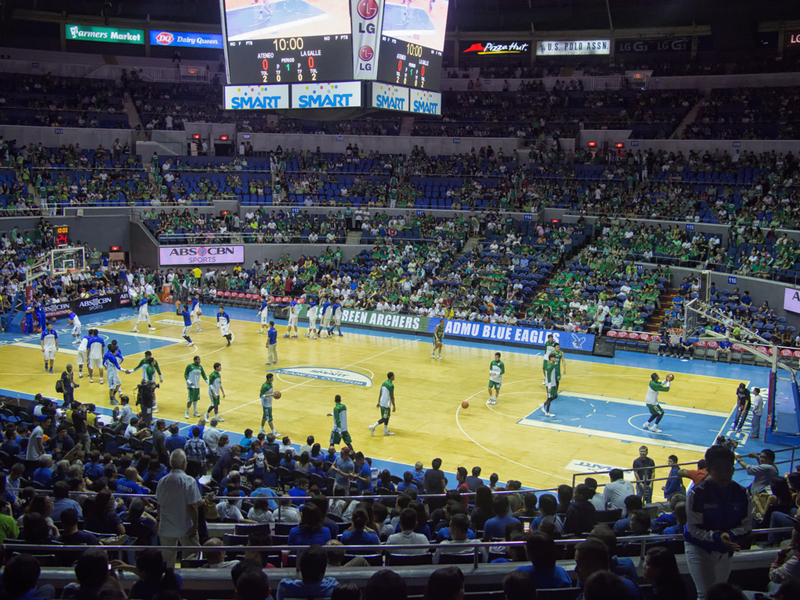 When Jeron Teng started the game strong and took matters into his own hands in the first quarter, I was telling myself, “Yes you are playing well now but you will fade in the fourth quarter.” In the second quarter, it was Kiefer Ravena’s turn to sizzle but we were still behind at the half. During the third quarter Ateneo made it’s run and closed the gap and by the fourth quarter it was a nip-and-tuck affair. Just like the first game, whichever team that can make the shots and make the stops in the endgame, wins. Jason Perkins field goal gave DLSU the cushion it needed. Chris Newsome tried to save the day but came up short. The key here is that Jeron Teng made his free throws in the clutch. In fact, he didn’t miss! Kiefer Ravena scored only 7points in the second half but his supporting cast fought a good fight. Let’s just give credit to the DLSU coaching staff for making the necessary adjustments. We won the first game and we were in cloud 9. DLSU won this game. Should we feel sad? Maybe just a bit because we care. At the start of the season, I don’t think any of us expected that we could beat DLSU twice in the regular season. Winning once would have been good enough. Remember DLSU is intact and the team to beat this year. They may have many players injured but this doesn’t really matter to them because they were built to be 2-3 strong per position. One goes down, someone else capable will step up. Watch out for Rivero in the future! Just remember, our goal of this season is to reach the Final Four. Ending the first round with a 6-1 record is heaven sent, but we also don’t want to be limping to the Final Four. 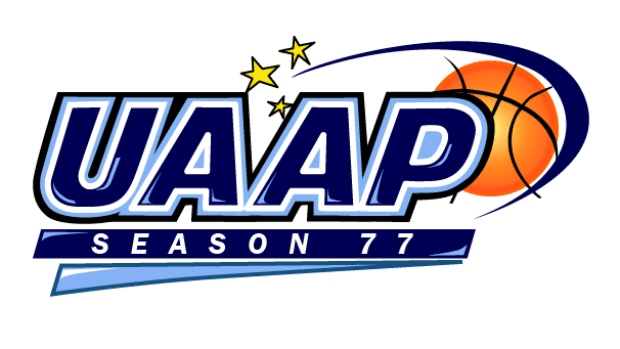 Of the teams in this tourney, barring any major injuries, we should get wins from UP and Adamson. Then, hopefully, we can grab three wins from the remaining teams. So this loss is only a glitch in our quest for a Final Four spot. The road doesn’t get easier, though. We next play UE on Wednesday with two athletic imports and Roi Sumang looking for payback. Let’s continue to support the team and give them One Big Fight!